Smartphone manufacturer Lenovo latest introduced two new handsets a few days ago. While launching the Lenovo K9 and Lenovo A5, its availability was not reported or official detail. It was only told that it would be bought exclusively from Flipkart. Flipkart has now announced the flash cell of these two phones. 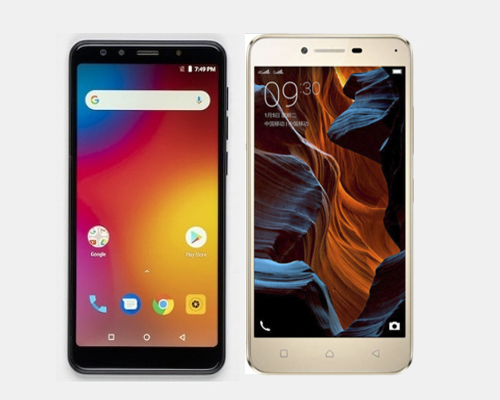 The company has reported that the Lenovo K9 and Lenovo A5 will be made available for sale from November 12 at 12 a.m. Let us know that Flipkart's Big Diwali Cell will also start from November 1 and run till 5 November. Talking about the price of the Lenovo K9, it’s 3 GB RAM and 32GB storage variants are priced at Rs 8,999. At the same time, Lenovo A5 has been introduced in two variants. Its first variant is equipped with 2 GB RAM and 16 GB of storage. It costs Rs 5,999. At the same time, the second variant is equipped with 3 GB RAM and 32 GB of storage. Its price is Rs. 6,999. Talking about the launch offers, the company is offering no cost EMI. Also, an instant discount of 10% is being given on MasterCard. Apart from this, the company has also partnered with SBI. In such a situation, the offer can also be offered on SBI card whose company has not yet announced it. This phone works on android Oreo based on ZUI 3.9. It has a 5.7-inch HD + display. Its aspect ratio is 18: 9. Plus 2.5-D glass protection has been given on its screen. This phone is equipped with 2.0 GHz MediaTek MT6762 Octa-core processor and 3 GB RAM. It has 32GB of internal storage which can be expanded up to 128 GB via microSD card. To give power to the phone, 3000 mAh battery is provided. This phone works on the Android Oreo 8.1 based on ZUI 3.9. It has a 5.45 inch HD + (720x1440 pixels) IPS display. Its aspect ratio is 18: 9. This phone is equipped with 1.5 GHz quad-core MediaTek MT 6739 processor. Its internal storage can be increased to 256 GB via microSD card. To give power to the phone, a battery of 4000 mAh is provided. Click on this link for more information. Apart from this, OnePlus 6T has also been launched in India. This phone is launched in three memory variants 6GB / 128GB, 8GB / 128GB and 8GB / 256GB. OnePlus 6T 6GB / 128GB memory variants have been priced at Rs. 37,999 in India. The price of 8GB / 128GB variants is Rs. 41,999 and the cost of 8GB / 256GB is 45,999 rupees. You can buy OnePlus 6T from online and offline channels on Nov. 2. In order to buy a phone online, you will need to go to Amazon's Website besides One Plus’s official website. On the OnePlus 6T you can buy Reliance Digital and Croma as well as offline from OnePlus exclusive stores. Click on this link to know more about its features.